In August I wrote about the astroturf “youth organization” Generation Opportunity and how it was using people who liked “Being American” as a means of legitimacy. Well, it turns out one deceptive Facebook page just wasn’t enough. 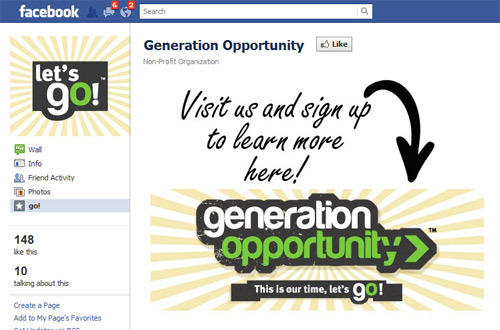 Generation Opportunity has announced their new Facebook project: The Constitution. The page was created on October 26, 2010 and has the same modus operandi as “Being American”: posting loaded statements and questions that push conservative ideology and policy. “The Constitution” obviously feels violated by the Affordable Care Act, is a big fan of the 10th amendment, and is outraged by the government assassination of Ronald McDonald.